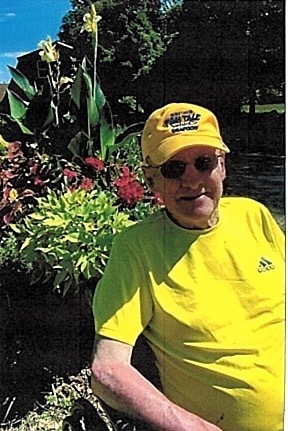 Obituary for Ernest Zanotti Jr.
Ernest Zanotti Jr., 88, of Coventry, widow of Pauline (Eichner) Zanotti, died Friday, April 12, 2019 peacefully in his sleep at home. He was born on February 2, 1931 in Bronx, NY to the late Ernest and Julia Zanotti of Columbia, CT. Ernest grew up in Columbia attending the local schools, and graduated from Windham Technical High school in Willimantic in 1951. He then enlisted in the US Army and was stationed for basic duty in North Carolina before being transferred to Wiesbaden, Germany for two years. He came home with the training that furthered his career for 30+ more years, working as an electrician that took him from journeyman to master electrician. Ernest worked for the Electro Motive MFG Co. in Willimantic for 26 years, where he met his wife Pauline. They eventually settled in their home that they built in Coventry, and he remained there even after the passing of his wife of almost 42 years. Ernest enjoyed hunting and fishing in his early days with his brother Frank and both of his brothers in-law Joe and Tom. After retiring he remained active by walking daily and doing what he loved best; gardening, wood crafting and taking all those road trips to “Lenny and Joe’s”. He is survived by his daughter Christine Sadow and her husband Al of Willington, two grandsons Nicholas and Christopher, son Thomas Zanotti and his wife Karen of Coventry as well as her daughter and children, and several nieces and nephews. In addition to his wife and parents, he was predeceased by brothers Frank and Louis, and niece Linda Zanotti. Ernest’s family will receive friends and relatives at the Potter Funeral Home, 456 Jackson St., Rte. 195, Willimantic on Tuesday, April 16, 2019 from 6:00 PM to 8:00 PM. There will be a Celebration of Life ceremony at the funeral home on Wednesday, April 17, 2019 at 10:00 AM.